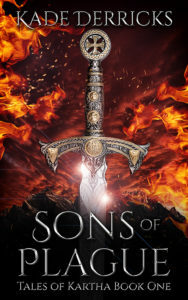 I’ve hit the publish button on Amazon and Book 2 of the Kingdom’s Forge series should be up on the site soon. Please forgive my slow speed in getting it out to you guys, but I think you’ll find the wait worthwhile. By way of an apology the book is priced at $3.99 despite being about 20% larger than the first one. It’s also available for free if you’re a member of Kindle Unlimited. Rumors of my demise have been greatly exaggerated — Mark Twain. Sorry, I’ve been too busy to post recently. I was caught up in the plummeting oil market. Since last summer my company laid off over half its employees and closed five facilities. The good news is after three months of searching I found a job and we’ve moved again. That’s life in the mining industry I’m afraid. Sadly my story is all too common now, and an ever increasing number of employers view their workers, blue and white collar alike, more as contractors than long-term investments. And then they wonder why employees aren’t loyal. More good news is that with a bit of time off I made quite a bit of progress on Kingdom’s Forge 2. Currently the manuscript sits at 90K words, about 360 pages based on a 250 word page. I would estimate there’s another 10K left in the first draft. I am planning on four drafts in total, each faster than the last. The process will be: finish the first draft, polish a second, editor for review, third draft corrections, editor for detailed work, and then a final review before publication. I’m aiming for a springtime launch, though the day job tends to affect that greatly. So what’s in the book? In the ‘current’ timeline we’ll see fallout from the war between the elves. Several years have passed, but time hasn’t diminished the danger faced by Dain and his little family. We’ll also spend a significant amount of time in Dain’s past, his entry into the paladin order and his subsequent dismissal. Between the long flashbacks and multiple POV’s, I’ll be focused on editing and keeping everything straight to provide the readers with as rewarding an experience as possible. There’s nothing more disruptive than a misspelled word or other grammatical error, and I will be the first to admit that my work is far from perfect. But I will also say that I pledge to do my absolute best for the reader. 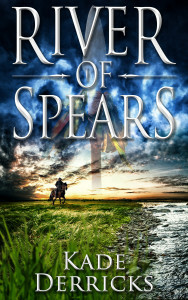 Whew, just finished uploading River of Spears, the prequel to Paladin’s Redemption on Amazon. It’s shorter than Redemption; I’m pricing it at $0.99 as a way of saying thanks to the fans and to get new readers to try my work. It’s also free if you have a subscription to Kindle Unlimited. If you like it, drop me a review. Each one helps. Writing the prequel was in many ways harder than the original work. I had to make sure there were no discrepancies between the two and that the timeline worked out. I’m sure there are a few mistakes. But overall I enjoyed the process. Hopefully, I’ve improved as a writer and you find that as well. The timing couldn’t have been better as Audible has released the audio version of Redemption. I haven’t had time to listen to it myself yet, but I’m a big fan of Audible’s work for some of my own favorite authors. As of now the prequel is delayed and my phenomenal editor has it. Not her fault. I delivered it to her late and she already had another project off and running. When it’s back in my hands I’ll go through it once more and then on to formatting and cover design. On Redemption I erred and spent to much time on the manuscript after getting it back from editing. This led to several spelling and grammar mistakes. Maybe it was a first book thing. *Note to self. The editor is always right…well almost always. In summary, I’m now hoping for a mid-August release. While waiting on the process I’ve started typing up the follow-up on Jin, Sera, and Dain’s exploits. It will be of similar length to Redemption in the 300 page range. No promises on release timing yet. The day job is keeping me at 60 to 70 hours per week, I’m salaried of course, and high temps and humidity sap away the will to do much more than sneak in a few words in the short evenings. Been awhile since posting. Long hours at the day job, unbelievably long, but there’s a bit of news to share. Redemption is being converted into an audiobook as we speak and the prequel is down to a few weeks of editing/formatting/cover design. 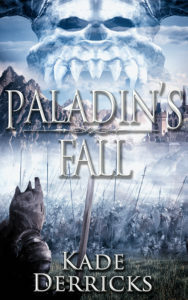 It’s going to be around 130 pages and feature Dain’s time fighting as a mercenary in the Tyber River war. This occurs just before the events of Redemption. Since the work’s shorter I’ll be pricing it at .99 and it will be available to borrow for those of you on Kindle Unlimited. I’m scrambling to beat a July 1 release date. I’ll get a post up here the night of the release, but if you’d like an email signup for my mailing list on the upper right. As mentioned I don’t do spam so the only time you’ll get an email is just ahead of new releases. For those eager to learn about Jin, Sera, and Razel, I’ve written the draft of the first few chapters of the follow-up and once the prequel is done it’s full steam on that story. As of this post Redemption is up to 105 reviews on Amazon, mostly very positive, and I would like to thank the readers. There are days when it’s difficult to get to the keyboard and your support make all the difference. Sometime back I added a mailing list function to this site. It’s brief, asking only for email address, and originally, I had grand plans of a newsletter. Truth-be-told I don’t have much to say though. Certainly nothing entertaining or interesting. I prefer to let the characters do the talking. They have much more interesting lives than I could ever hope live. If you’re here it’s for them, not me. So why is the mailing list there then? In this age of twitter, facebook, email, texts and what all it’s easy to lose track of things. To help readers out I’ve added the list as a way to notify you of upcoming releases. If you’ve given me your email I swear it will be treated as a trust. I will never sell this list to any outside agency or offer it to anyone for any reason. God knows I get enough spam in my own email and in the comments on this site. And I refuse to add to it. 2015 is looking like a great year for movies. It will be tough to top 2014 though. We had Godzilla, X-men, Guardians of the Galaxy, Transformers, and the last part of the Hobbit trilogy. SciFi/Fantasy should have a good year in particular. Jurassic world–Not a huge Jurassic park fan, but Chris Pratt won me over as Star-lord. Fast and the furious 7–Not my genre but smashing cars with Vin Diesel is always cool. Avengers 2–I hope these marvel movies don’t get too busy with characters. At some point there’s just too many men in tights running around. Star Wars–Trying to contain myself waiting for this one. And praying it’s great. A lot of fantasy works these days seem to focus on magic systems and how their magic works. There’s a thousand names for it (one power, force, soulcasting, weaving) and I’m sure you’ve seen it all. Hat’s off to those writers. I have nothing but respect for anyone who can invent their own system and implement it in a believable way into their writing. But that’s not my thing. With Dain’s world I’m less interested in magic and more interested in the characters and their story. I think there’s always an interest in people. People are universal. People struggle, they despair, they work, they overcome. Whether it’s biography, thriller, or scifi I think there’s a desire to hear their stories. When I started the Kingdom’s Forge series, I originally envisioned a 5 to 6 part story arc. But I’ve run into a bit of a problem. Dain’s backstory. I started to wonder about it. What exactly happened along the Tyber River? Who is Bix and what did she mean to him? And what about the great burning city? In that vein the next release is tentatively scheduled for late-spring. Its going to be a prequel to Redemption. Two of the questions above will be answered. The burning city will have to wait. The next installment feels shorter (120 pages or less) and so I’ll be pricing it at $0.99. I too hate paying a 3 or 4 dollars and discovering the book is only 90 pages. So far I’m having a blast writing it although I fear the ending is going to be tough to nail. 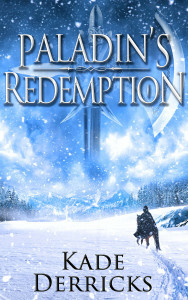 Paladin’s Redemption got its first review recently and for that I am most grateful. I’m humbled that someone felt strongly enough about it to offer up their comments. This is my first release and these last few days letting it fly are both horribly nerve-racking and exhilarating. Seeing a great review, along with a few sales, really fuels the creative process. It makes it easy to work on the next installment. The book has done well so far and that’s purely a function of you, the readers.